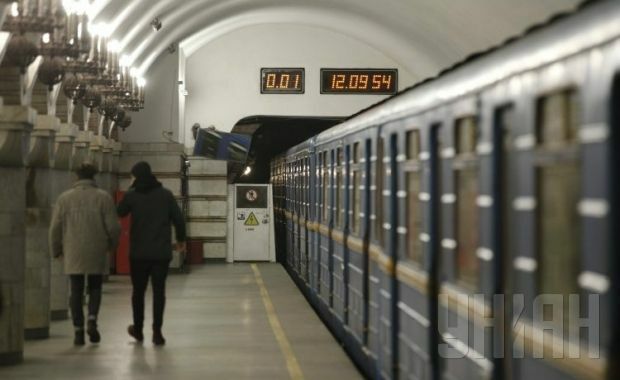 The Ukrainian security services are planning to install metal detectors at the entrances to Kyiv metro stations, the Head of Research Affairs of Ukraine in Kyiv Oleksandr Tereshchuk said on Monday, according to an UNIAN correspondent. "Such detectors will be installed in the near future. These won’t be frames - there is different equipment, the technology is advancing," he said. Tereshchuk also said there would be increased police patrols of the city. "While we usually have 1,500 servicemen in Kyiv, today 2,500 of our personnel will start patrolling the city, including in the subway," he said. "In addition, citizens of Kyiv will also be involved in the protection of public order, as there is a shortage of police officers," Tereshchuk said.